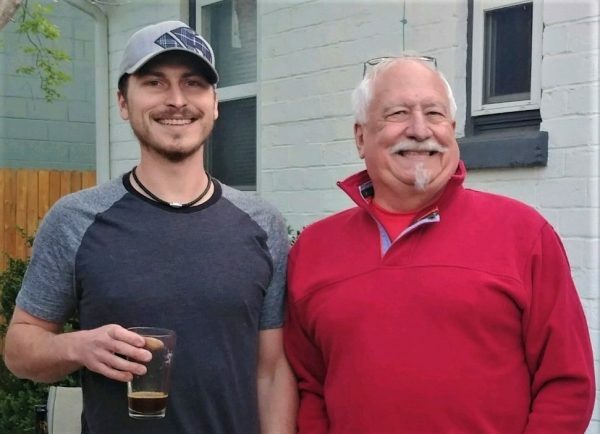 A father-and-son team are set to bring a little electricity to Golden’s brewing scene. Ohm Brewing Co. expects to open this June at 1921 Youngfield St. in Golden. Named for a unit of measuring electricity, the brewery will offer beers concocted on an all-electric brew system as opposed to the typical steam-powered system, co-owner Ian Burks said. 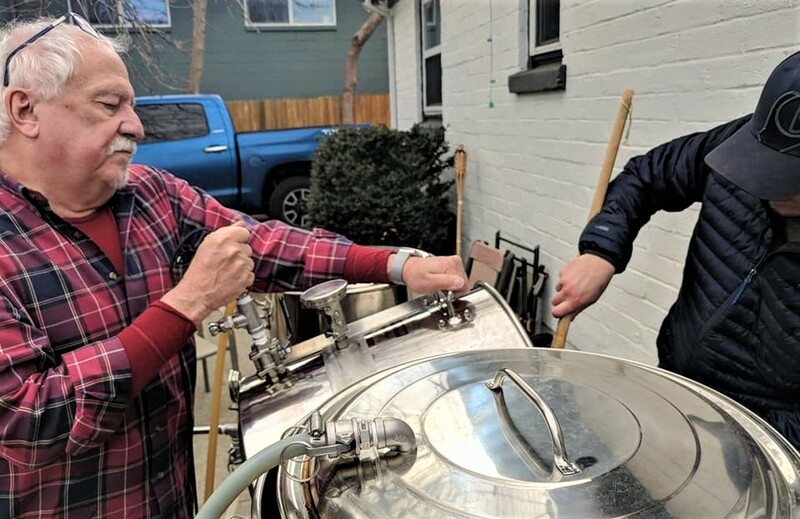 Ian and his dad, Doug Burks, have been homebrewing for nearly a decade using an all-grain brewing system the pair built themselves. Now, as both men look to get out of their respective careers, they decided to take their hobby full time. Both father and son have been homebrewing for close to a decade. Ian and Doug are in the midst of renovating a 1,600-square-foot space in the Applewood Grove Shopping Center at the corner of West 20th Avenue and Youngfield Street. Ian, a contractor who owns Burks Wurks Construction, said his mom recently moved into Golden’s Applewood neighborhood, where the shopping center is located. The space is small, he said, but includes a “really big” outdoor patio that will bring the taproom’s capacity up to about 80 people. The business signed a five-year lease in October at about $2,000 a month, Ian said. 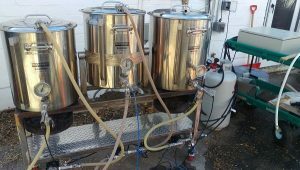 The Burks made their own all-grain brewing system for homebrewing, pictured here. They’ve purchased a larger system for the brewery. To facilitate the transition from hobby to business, the pair purchased a three-barrel brewing system — but they don’t plan to retire their self-made apparatus. Years ago, Ian taught himself welding to help in building the brewing system. Doug, a computer programmer who currently lives in South Carolina, programmed its control panel. Ian said the homebrewing system — a Brutus 10 model — now will be used for smaller batches. Ohm Brewing will offer six to nine taps at its June opening, Ian said. And because of Denver’s dense beer scene, Ohm will try to offer unique beers. The brewery will start out offering a Lime Pale Saison, a Belgium Blonde, a Northwestern Juicy IPA, a Rye Pale Ale and a standard light lager. Within the first week or two, Ohm will add a Ginger Cream Ale, a White IPA and an Imperial Red, Ian said. And as for food, he lucked out — his girlfriend owns and operates the food truck Stupid Awesome, which will serve sandwiches from its converted 1980s school bus at Ohm Brewing’s opening day. Ian hopes her connections will help lure a number of other food trucks to park outside on a rotating basis. Ohm Brewing Co. is named for the unit of electrical resistance. 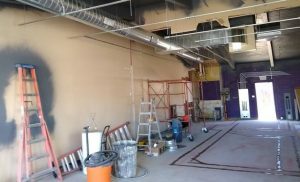 The space is slated to open in June. Ian and Doug are financing the brewery themselves. It was Doug who came up with the title Ohm, named for the unit of electric resistance. Ohm Brewing Co. will join the ranks of other Golden breweries, including Golden City Brewery, Cannonball Creek Brewery, and, of course, Coors. Over Yonder Brewing Co. also is coming to Golden this year, with plans to open a taproom near Red Rocks Amphitheatre. After its June opening, Ohm Brewing Co. will be open to the public from noon until 10 p.m. Wednesdays through Sundays. Libby Flood is a BusinessDen reporter. She is a graduate of the University of Kansas.